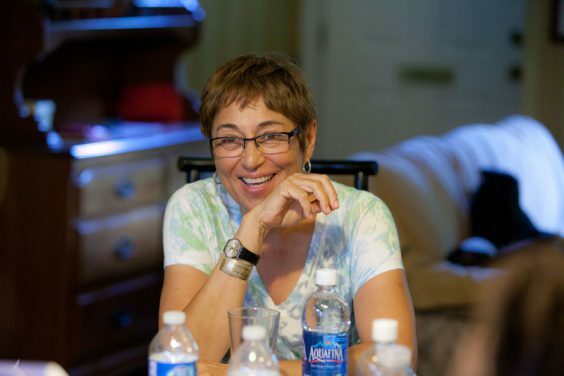 Toi Derricotte at a Cave Canem workshop. Sapphire signs a book after the reading. 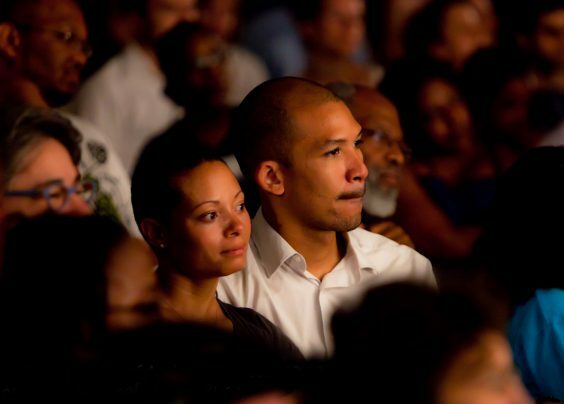 The sound of 600 hands clapping: Carl Phillips and the audience. The tent on Monterey St.
Over 300 people came to the tent on Monterey St. last June for the first annual Cave Canem/COAP reading. This summer's reading features poets Toi Derricotte, Cornelius Eady, Natasha Trethewey, and Amiri Baraka. 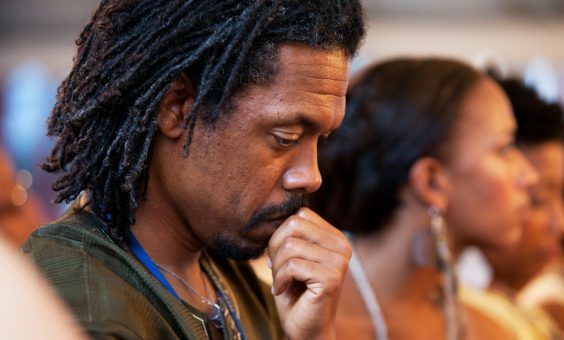 Carl Phillips, Cave Canem poet and workshop instructor. 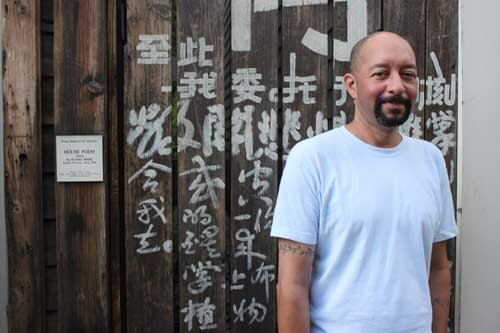 On Thursday June 23, City of Asylum/Pittsburgh will partner with Cave Canem to host a reading with Toi Derricotte, Cornelius Eady, Natasha Trethewey and Amiri Baraka. The event will take place on the 1400 block of Monterey Street at 7:30 PM and, as always, will remain free and open to the public. 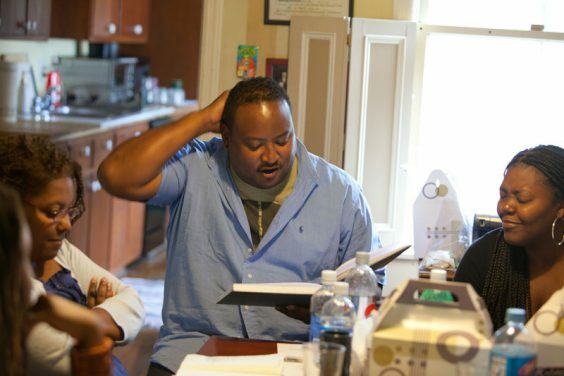 This annual free reading was inaugurated in 2010, and the partnership between the two organizations included a series of writers’ workshops in the five COA/P houses on Sampsonia Way. 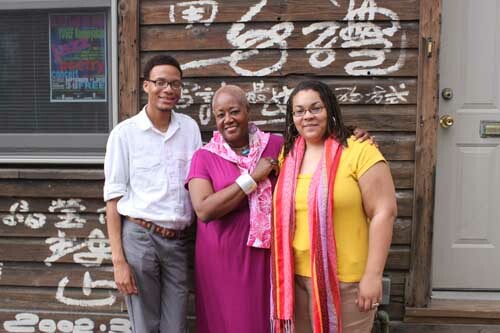 The workshops allowed 54 African-American poets from across the United States to share a sample of their writing with poets Toi Derricotte, Cornelius Eady, and Ed Roberson, among others. 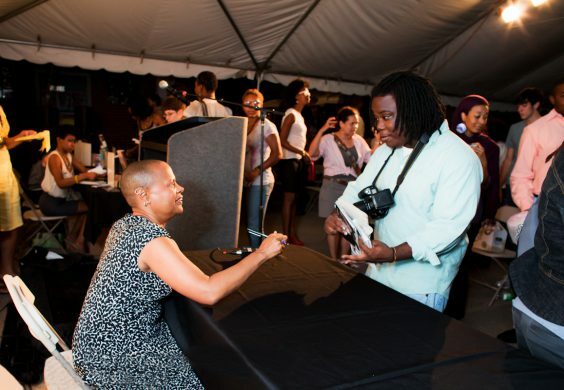 The guest writers who read under a tent at Monterrey Street were Colleen J. McElroy, Carl Phillips, Claudia Rankine, and Sapphire. 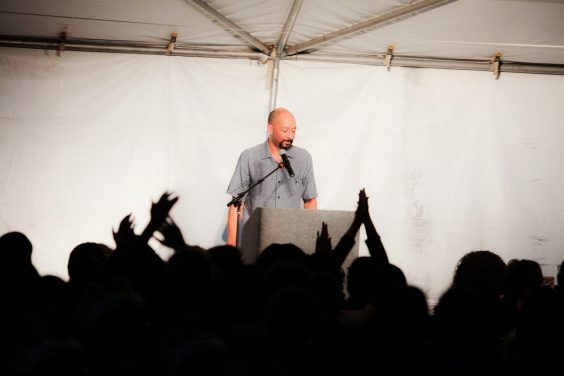 The event was a resounding success: with each seat under the tent occupied, neighbors and fellow Northsiders caught the free reading from their stoops and chairs they brought from home. The slideshow above represents a selection of highlights from that wonderful evening. 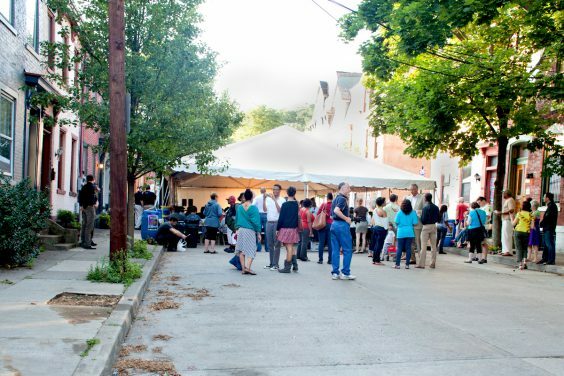 Contact Laura Mustio to reserve your seats under the tent for this year’s reading, or bring a chair out to the street and join COA/P for what promises to be an excellent evening of poetry and community in Pittsburgh’s Northside. 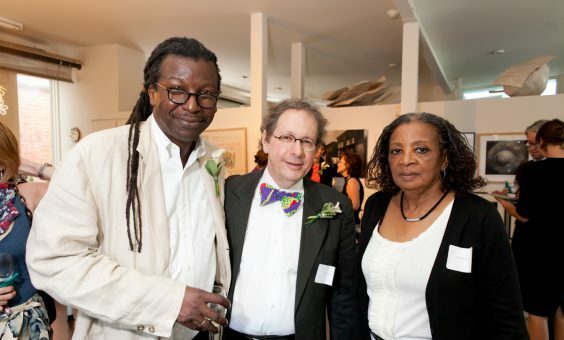 Visit Pittsburgh’s Literary Calendar for more details.